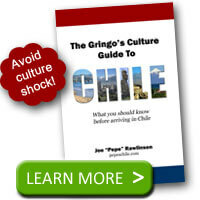 Driving in Chile, particularly in Santiago, is not for the faint of heart. 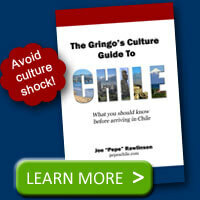 Here are some things to keep in mind as you drive around Chile. City streets often have no apparent lane markers. Yet there will be three or four distinct flows of traffic down the street. You’ll need to follow the flow in some cases instead of looking for clearly defined lanes. The challenge increases when these impromptu lanes don’t look like they will fit all the cars going down the road. You’ll find yourself driving very close to the car next to you with no margin for error. 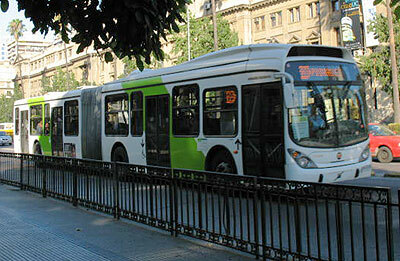 Your “enemies” on the Chilean roadways are taxis, colectivos (like a taxi that runs a set route), and micros (buses). The drivers of these vehicles drive like they are above the law. They will make erratic stops and maneuvers without any warning. Keep your eye on them and drive defensively. In the city, pedestrians seem to be right on top of you. People will be walking just inches from the flow of traffic, particularly when there is no median between the street and the sidewalk. On the cross-country highways, you’ll pass individual vendors on the side of the road trying to get you to stop and purchase their wares. They will stand as close to the traffic lane as possible to get your attention. Don’t hit them! Beyond pedestrians, the right lane on the road offers another driving challenge: stopping vehicles. Buses will stop to pick up or drop off customers at random places. Cars will park on the right side of the road – and what was a clear lane moments ago is now a parking lot. In Chile, teenagers can start driving at 17 with an adult or at 18 by themselves. However, even though they can drive, it doesn’t mean they will have a car. Youth still frequent public transportation for getting around town. Watch out for the Carabineros, the green uniform-clad police force. You’ll see them on the side of the road. They can call you out of traffic to give you a ticket. You’ll need an international driver’s license to drive in Chile. This is a formality that you’ll only need if you are asked for it. And you’ll only get asked for it if you are in trouble, or maybe when you rent a car. Keep an eye on traffic lights. The yellow lights are very quick. So when you see yellow, stop!